There are few things that hit the Internet harder than the 'Left Shark' dancer that accompanied Katy Perry on stage during her half-time performance at the Super Bowl. Granted, there were a lot of strange things going on at that performance, so its safe to say you may have missed Left Shark while you were paying attention to the dancing beach balls, or Missy Elliot, or Katy Perry riding a "The More You Know" star. However, odds are that even if you missed it, you've seen the lovable shark appear on the Internet since then. And, like most things that go viral, we just can't let the poor shark go. Now you can really embrace the aesthetic with this Left Shark onesie, officially endorsed by Katy Perry herself. Granted, the shark suit will cost you almost $130, but hey — it's a piece of American history at this point! You can prove you understand what's hot in pop culture while simultaneously feeling as cozy as a tiny infant. And, hey, despite the teeth and general scariness, people love sharks. You can thank Shark Week and Sharknado for that. The Super Bowl performance just brought the obsession to the next level. In case you missed it or maybe just need a midday pick-me-up, let's take a second to re-live the moment the Left Shark was thrust into the spotlight, shall we? Yes, I know. You're feeling inspired now, right? Of course. 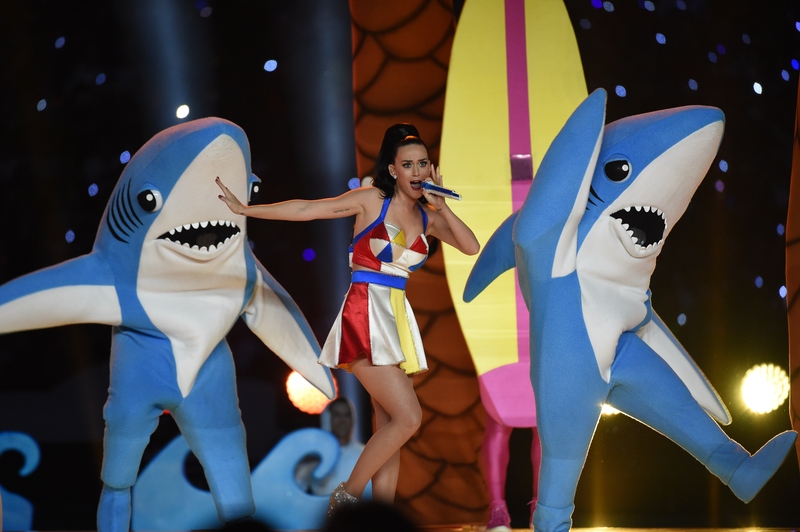 Luckily for you, Katy Perry just made Left Shark available for everyone because, clearly, she gets its.